For most people, there is an obvious connection between body and mind. 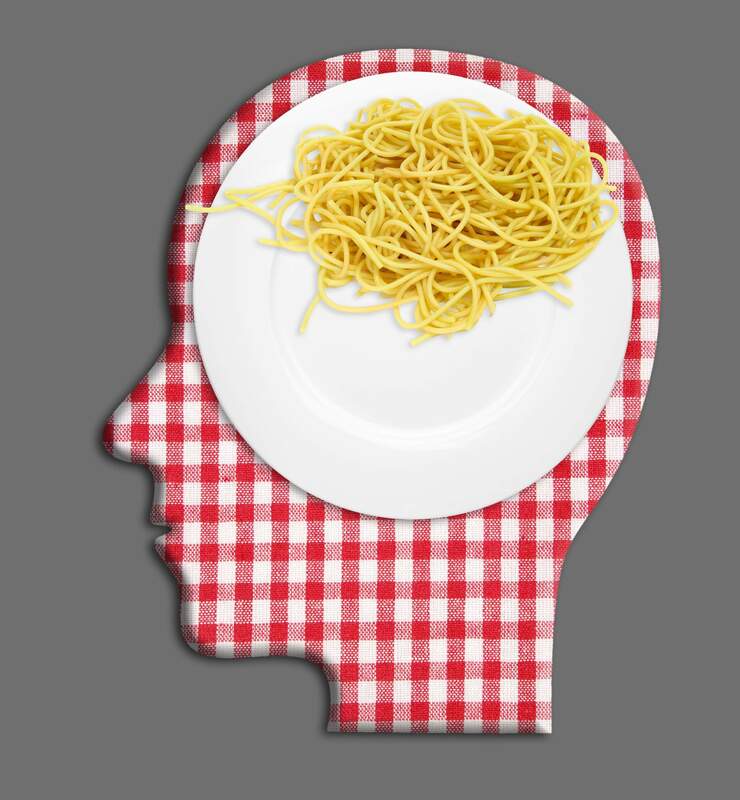 But the mental effects of deep-dish, deep-fried, processed and pre-packaged food are often overlooked. Nicola Dehlinger is a naturopathic doctor at Pura Vida Healthcare who works with patients with mental health problems, such as insomnia and eating disorders. She said that the disconnect is partially a cultural issue: Medical schools don’t require nutrition courses in their curriculums; the federal government subsidizes corn, so sugar-spiking corn syrup finds its way into low-cost junk food; processed and fast food is becoming more and more convenient; and so on. But when it comes to a clear, stable outlook and focused mind, it may be worth breaking old habits. The low-fat craze made us crazyCan you believe that I Can’t Believe It’s Not Butter is actually as bad for your brain as it tastes? Ciara Miesler, a certified nutritional therapy practitioner at Durango’s Namaste Health Center, said that in the 1960s, low-fat dieting became popular despite little scientific evidence proving it can lower cholesterol (the plate on which the low-fat baloney was served). But the public – and the medical community – was convinced. The diet was to our detriment; not only does low-fat taste like poser food, it also expands our stomachs and starves our minds. Neural tissue is made up of around 60 to 70 percent saturated fat and cholesterol, Miesler said. Saturated fat also protects the myelin sheath, the insulating layer surrounding the neurons that supports brain cells and communication between the brain and body. The brain needs a healthy balance of omega-3 and omega-6 fatty acids (essential acids the body does not produce naturally) to function properly. Instead, many people eat harmful trans fats that can be found in processed foods and dairy products. The endocrine glands are also hungry for fat. Alongside other hormones, it is within these glands that cholesterol is converted into steroid hormones, such as testosterone, progesterone and pregnenolone, which regulate mood. What to eat: Miesler suggests plant-based fats such as chia, hemp and flax seeds avocado, olives and olive oil, as well as fat from smaller fishes, such as sardines or cod liver oil. Eggs are an excellent source of EPA and DHA, both omega-3 fatty acids. Mood foesRecent science may have returned butter to the list of things you can eat, but science giveth and science taketh away. It’s coming for your bread, cheese and sweets. There are certain proteins that drive inflammation and can cause deficiencies: gluten, prolamine and casein. Casein is commonly found in dairy. It digests very slowly, putting a lot of strain on the digestive system. Some researchers say that diary is also addictive because fragments of casein can connect to opioid receptors in the brain. While it may or may not be addicting, it is one of the major food allergies among Americans. New research has discovered that the now-infamous protein gluten –most commonly found in grains – is also harmful to brains, so baguette-intolerant friends may not be as fragile as you think. “There are groups of neurological clinicians, chiropractors and medical docs that are getting their patients off of gluten because of the neurotoxic effect,” said Pati Thomas, a certified nutritionist at Mountain Centre for Healing in Fort Collins. Gluten can inhibit serotonin (the neurotransmitter closely linked with well-being and feelings of happiness) and has been attributed to mental health issues as severe as depression, bipolar disorder and schizophrenia. In addition to dairy and bread, sugar can also alter the brain. “Sugar is the other white powder,” Dehlinger said. And it can affect people in extreme ways. One of Dehlinger’s patients, a 14-year-old girl, was experiencing intense anxiety. Dehlinger put her on a 30-day clean-food regimen. After the month was up, she could eat whatever she wanted. The patient realized that after she drank a soda, she experienced an increased heart rate that felt identical to the symptoms leading up to a panic attack. The problem is, we crave sugar because our bodies need glucose in the cells. Sugar gives the body a fast fix. “Of course, it’s a knee-jerk reaction – a major high-and-low roller coaster,” Thomas said. Beyond the three major food foes, it’s important to keep in mind that some people can be allergic to chicken, spinach or other foods that would normally be considered healthy. What to do: Dehlinger said a helpful first step in improving mental health through dieting is to log what you eat for a week and pay attention to the physical effects. This is harder than it sounds because facing a food log is like peering into the reality of your non-existent retirement savings. It’s just easier to ignore. But doing so could potentially reveal what is behind grouchy mornings and irritable nights. In order to regulate blood sugar and avoid the candy aisle, Thomas said to make sure to eat three meals a day with healthy snacks in between. For food allergies, Miesler said that there are two types of blood tests, the ALCAT or MRT, which start around $200. White blood cells are separated and put into petri dishes with certain foods. Lab techs can then see if the blood cells have a severe, mild or no reaction to their petri roommates. Any reaction could indicate some sensitivity. The second brain Miesler said that common phrases, such as “it made me sick to my stomach” or “follow your gut,” show that humans have always intuitively known that bellies affect brains. An onslaught of research connecting gut health to brain health proves that what we eat undoubtedly plays a role on how we think. Research shows that about 90 percent of serotonin is produced in the gut. Just like a real forest, when something is out of whack, your microbiome – the microbial flora and fauna in your stomach – can be overrun by one species. Miesler uses the example of candida, an opportunistic bacteria that the body needs but is harmful when it takes over. What to eat: Serotonin is made from tryptophan – the famous Thanksgiving turkey amino acid – so dining on protein-based foods such as seafood, poultry, beans and nuts are essential for the production of serotonin. Thomas said that vitamins A and D together can help digest proteins (and are important for the entire endocrine system). For abundance and diversity in the microbiome, eat fermented foods like sauerkraut, kimchi and pickles and lots of fiber.